Whenever a retail business is starting out, one the most significant aspects to take into consideration is the display. If the right amount of interest generated, prospective customers may not be intrigued enough to actually check out the merchandise, even if it is the best merchandise available in the market. Hence, visually marketing your products is important and one of the things that actually help with creating the right impression is counter top displays. 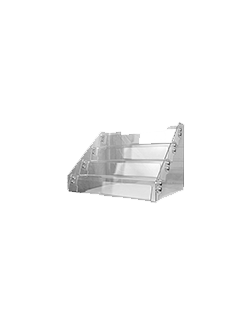 With our counter top displays, you will be able to bring in a stream of customers by providing all the latest details about your exclusive products and any hot deals that may be on the offer, thus encouraging more purchases. 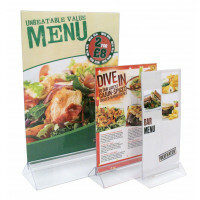 Further, you can also use counter displays for exhibiting your menus, thus presenting it in the best possible way. 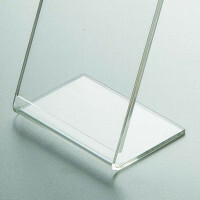 The quality of our counter displays speaks out for itself and the affordable range makes it the best purchase. Moreover, you can expect our counter top displays to be highly durable and light, thus not causing any unnecessary obstacles. 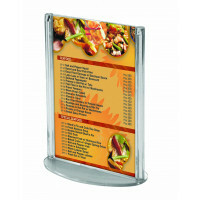 The counter top display can also be used at the entrance to catch the eyes of passers-by and make them come inside. 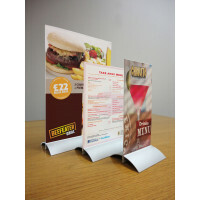 Furthermore, you can also use our range of counter displays to promote your products or services or to display a pamphlet with relevant information. So, whether you are thinking of opening up a coffee shop or a merchandise store, get the best offer now on one of the best advertisement tools in the business world. With our long-lasting counter top displays, you can never go wrong and you deserve to enjoy watching the pleasant reactions of your valued customers at getting to experience your best services. 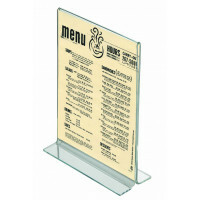 Check out our collection of counter displays now and choose the one that’s best for your business.